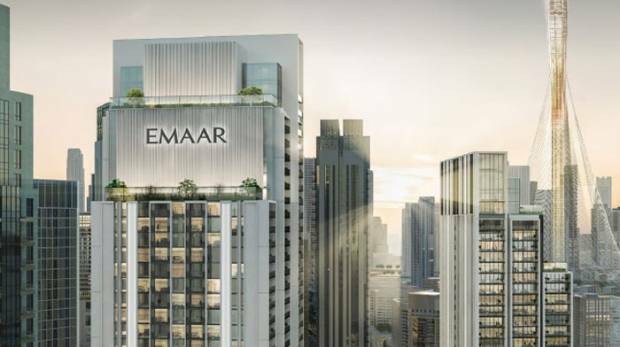 Emaar Properties expects to sell a 20 per cent stake in its real estate development business next month in an initial public offering, it said on Sunday, with the smaller than anticipated sale sending its shares down by more than 2 per cent. Dubai’s largest listed developer said in a bourse statement that it had received shareholder approval to sell up to 30 per cent of Emaar Development on the Dubai exchange, the first major listing in three years. Emaar Development was valued at Dhs24.1bn ($6.56bn) as of September by JLL, Emaar said in a separate bourse statement, confirming a Oct. 2 Reuters report. The market expected Emaar Properties to distribute a one-off dividend of Dhs1 per share, but a 20 per cent sale would mean a dividend distribution of 0.67 dirhams per share based on the Dhs24bn valuation, Ansari added. The development business plans to pay out $1.7bn in dividends in the three years to Dec. 31, 2020, Emaar said. Emaar had previously said it was considering listing up to 30 per cent of the business and that proceeds could be distributed to Emaar Properties shareholders. Emaar Development is behind communities in Dubai including Emirates Living, Downtown Dubai, Dubai Marina and Arabian Ranches, and has delivered over 34,500 residential units since 2002. Retail investors can subscribe to the offering between November 2 to 13, and institutional or high-net-worth investors from November 2 to 15, Emaar said.